Picking up a set of factory 2010 Z06 Spider Wheels today the have 18"s on the front with 245/45's and the rears are 285/45's will these fit my 97 with spacers only or will I need to do some cutting and hammering? If spacers only, what size? Thanks in advance guys. This is a 1 of 1802 Z4C cars so I dont want to be cutting on it..
You sure you got the tire sizes right? Those are huge diameter rear tires, typically used on light trucks and SUV's. 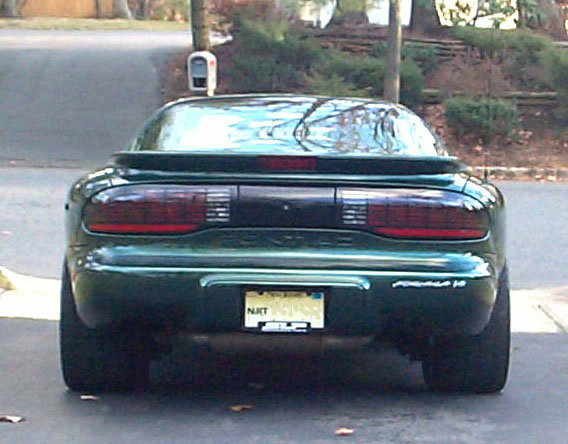 Stock diameter on a 4th Gen Camaro SS is 25.7"
The wheel/tire you listed will fit in the front with no spacer, but is too large diameter. And, a 245/45-18 tire should not be mounted on anything larger than a 9.0" wide wheel. The wheel would required a 3/4" spacer to move the wheel/tire out to the point where it won't rub on the inner fender liner. That will put the tire about 3/4 to 1"" outside the fender lip. A 29.1" tire you listed will not fit in the wheel well..... way too large diameter. And, a 285/45-19 tire will not fit correctly on a 12.0" wide wheel. Max width is 10.5". rear factory subs in my 97 Firebird. What can I get to replace?